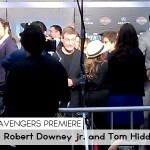 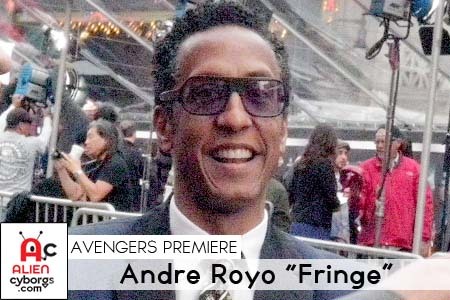 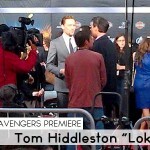 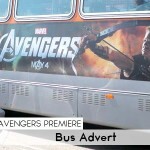 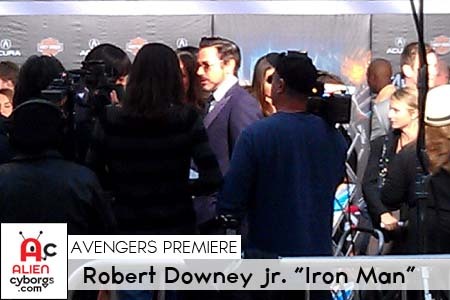 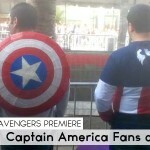 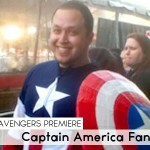 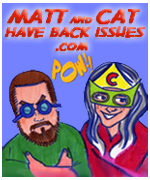 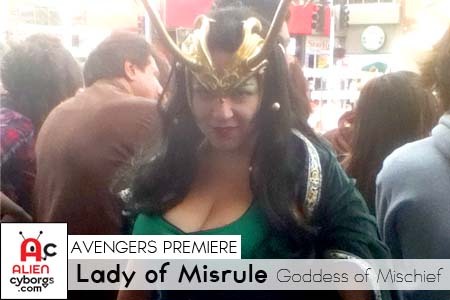 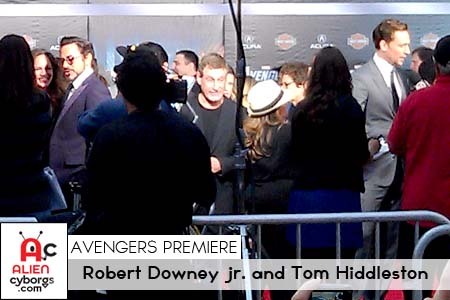 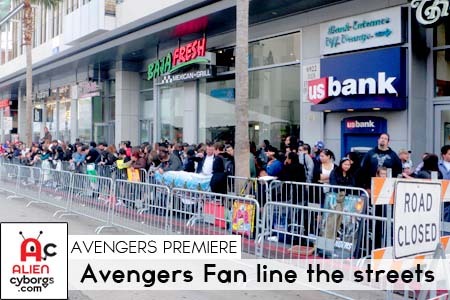 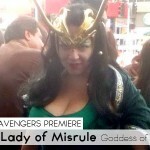 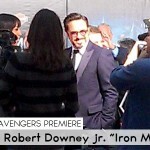 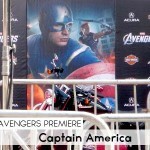 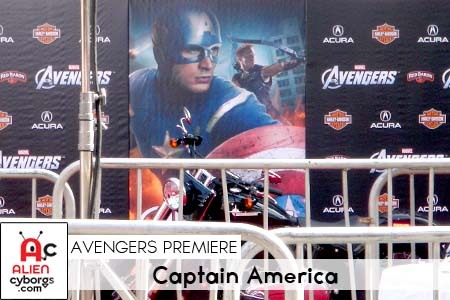 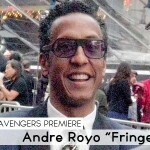 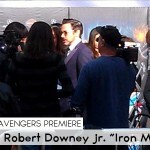 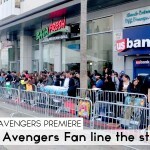 Alien Cyborgs – “World Premiere – Avengers Assembled! 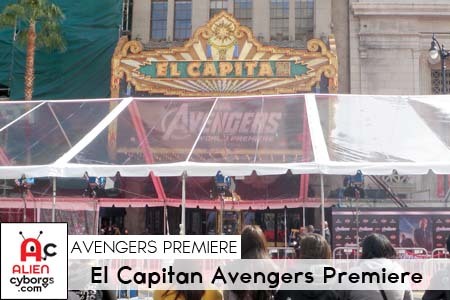 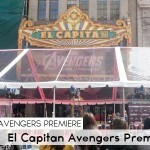 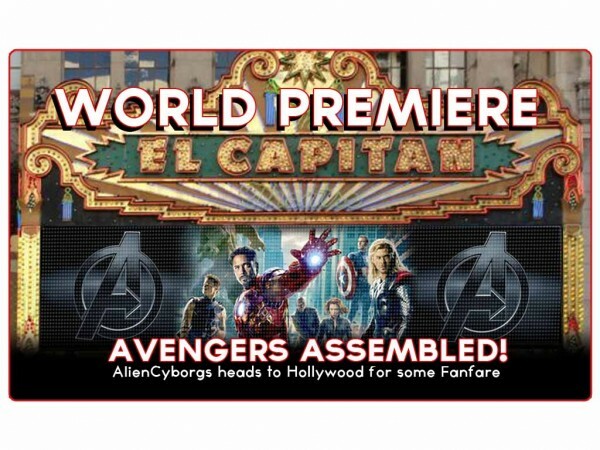 AlienCyborgs heads down to Disney’s El Capitan theatre on Hollywood Blvd in The City of Angels to hang with the fans, Star Gaze and Hero Watch! 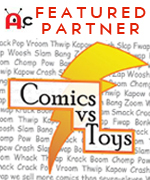 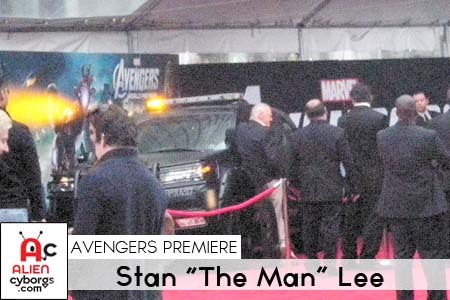 Almost 50 years after the release of the first issue of Marvel Comics “The Avengers” created by Stan “the Man” Lee and Jack “King” Kirby…we stand collectively at the threshold of one of the longest awaited movies to be released in Geek History. 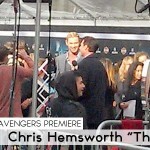 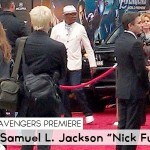 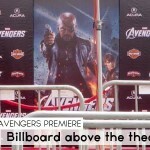 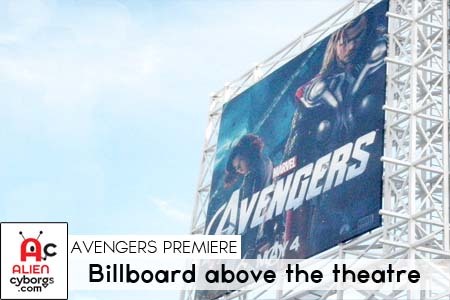 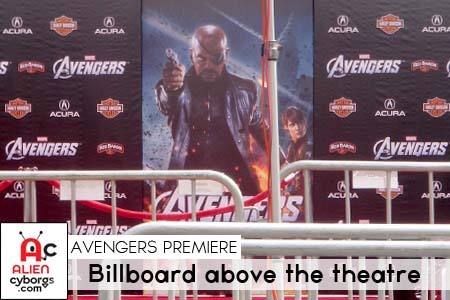 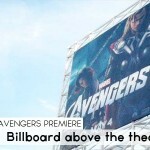 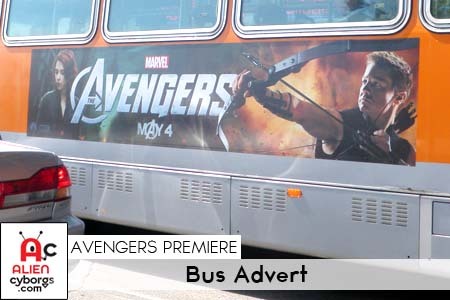 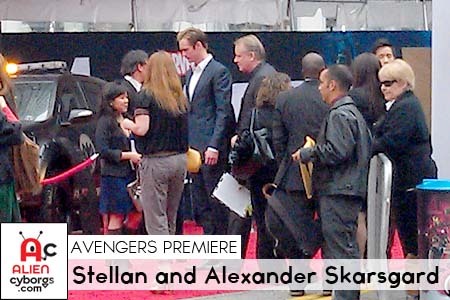 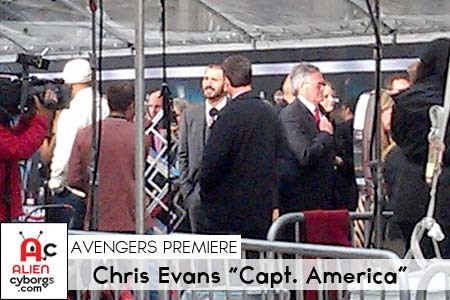 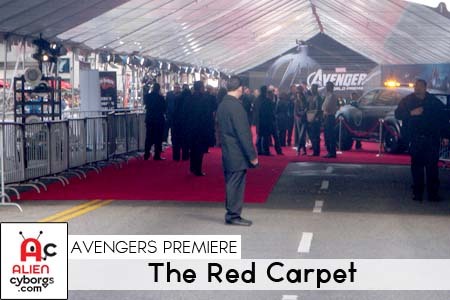 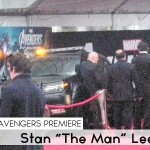 It seems that all the stars fell out of the sky and hit the red carpet for the Avengers Movie World Premiere on Wednesday April 11th. 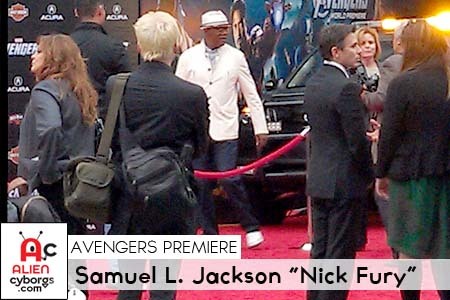 The entire cast was on hand: Robert Downey Jr., Chris Evans, Chris Hemsworth, Tom Hiddleston, Samuel L. Jackson, Scarlett Johansson, Mark Ruffalo, Clark Gregg and Cobie Smulders….but no sign of Gwenneth Paltrow! 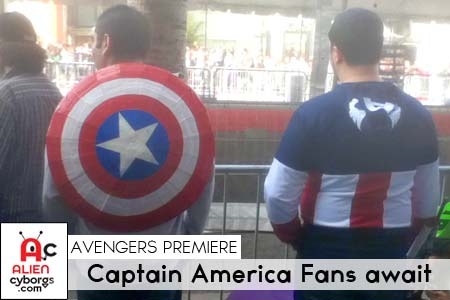 Of course there were hundreds of fans and fan boys on hand cheering and screaming for their favorite stars. 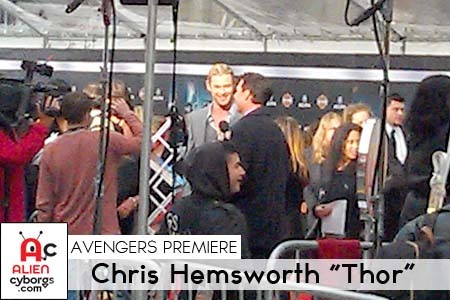 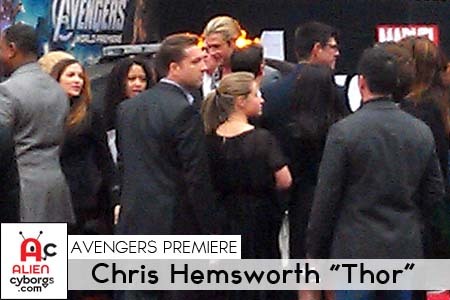 Chris Hemsworth (Thor) showed up sans a cravat and was literally “head and shoulders” above the crowd, at 6’4″ he towers over most people! 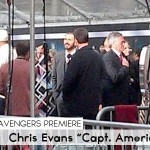 Chris Evans (Captain America) looking very brunette, came a bit incognito sporting a beard and buzz cut. 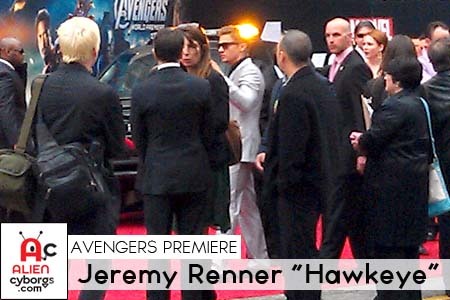 He nearly snuck past us and had it not been for some star struck teens screaming his name…he may have flown under our radar. 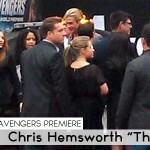 How is it the one guys gets to be both “The Human Torch AND “Captain America”?! 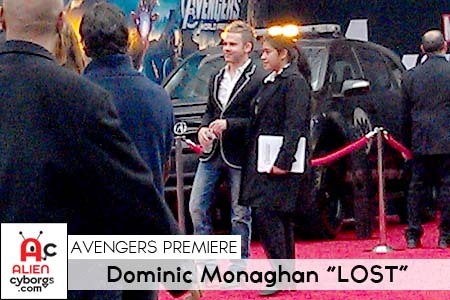 Some guys get all the luck! 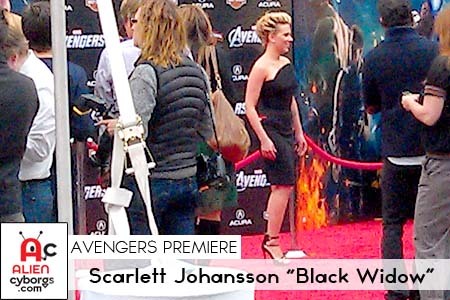 Scarlett Johansson (Black Widow) looking beautiful as usual, arrived in the obligatory “Little Black Dress”..and wore it well! 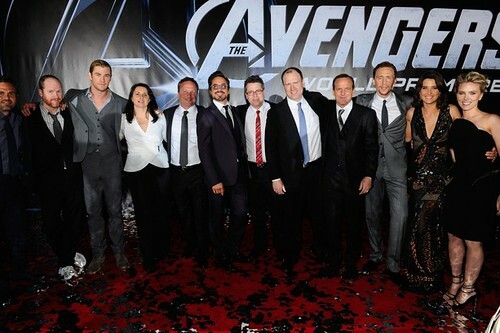 Speaking of beautiful, Cobie Smulders (Agent Maria Hill) was there looking, pardon the pun…Smouldering in Dona Karan. 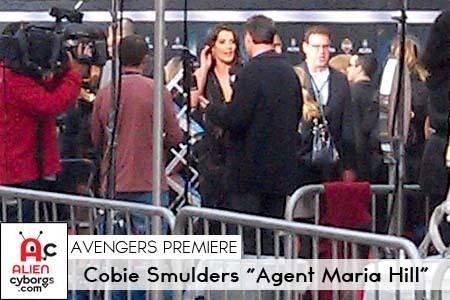 Cobie really has a “WOW” factor that could have even mesmerized the Hulk! 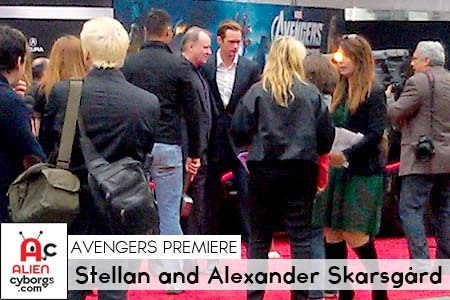 The family Skarsgård was in attendance, Stellan (Prof. Selvig in Thor) and son Alexander (Eric Northman in True Blood) giving the fans a double dose of Swedish Delight. 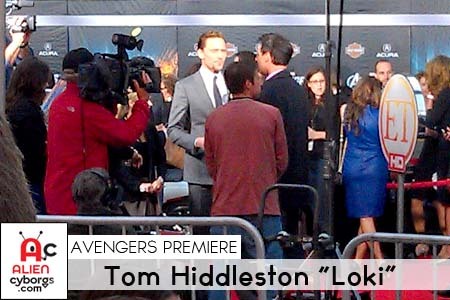 Looking less like the God of Mischief and more like a Brit Rock Star, Tom Hiddleston(Loki) arrived looked very smart and very British in his grey fitted suit. 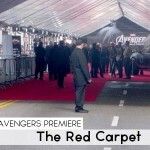 If there was an “Entrance of the Year” award I would think that Robert Downey jr. (Iron Man) would win by a landslide. 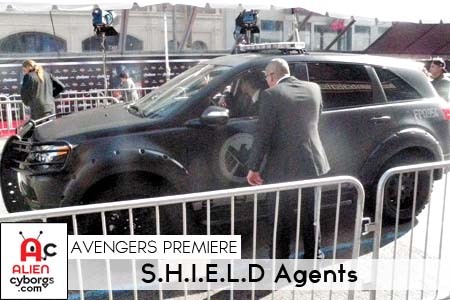 RDjr is escorted to the premiere by a motorcade of matte black militarized Acura MDX and TLs sporting S.H.I.E.L.D logos on the doors. 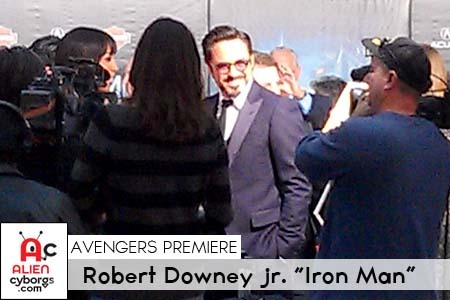 (see gallery below) RDjr rolls up ONTO the red carpet in a brand new Dark Brown/Burgandy ACURA NSX with a New York license plate that read “STARK 33”! 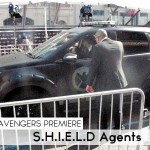 This thing actually GROWLED when he stepped on the gas pedal. 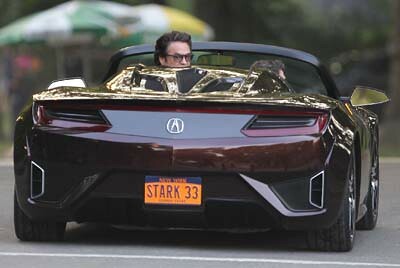 Touted as a “Super Car”, The New Acura NSX is truly a Super Car for a Super Hero! 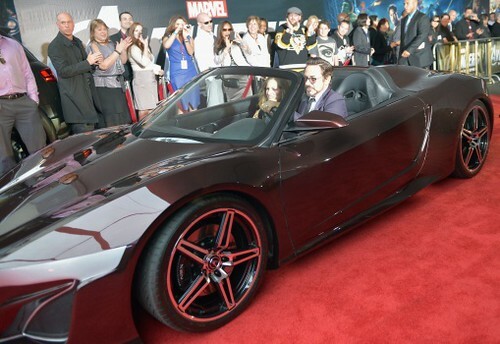 Rolling up in that car, the purple italian suit and the swag he had in his step, RDjr really WAS Tony Stark at least for that night! 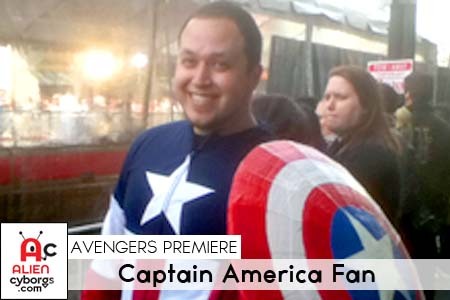 Jet “Blaque” Olaño – likes long walks on the beach and pina coladas but would rather sit in front of the T.V with a big bag of Jalapeño Cheetos and an entire season of Game of Thrones! 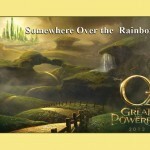 Dedicated to Gideon Raio Olaño our lil’ geek in training!